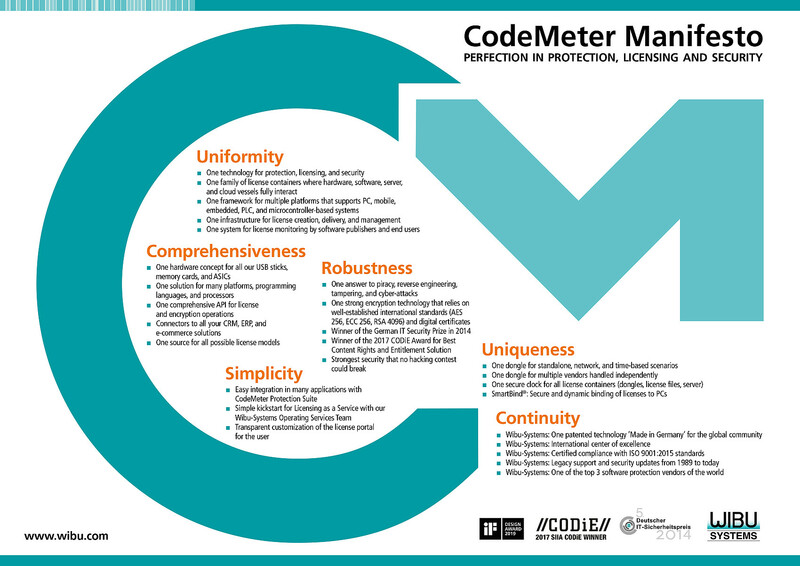 CodeMeter Protection Only License offers a cost-effective variant of CodeMeter to protect your software against reverse engineering without licensing CodeMeter. 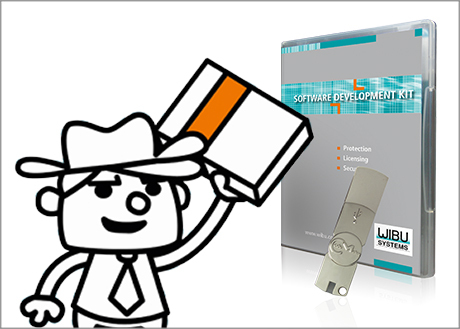 As a software vendor, you can protect your software with CodeMeter against reverse engineering. Protection Suite provides a simple and effective way to automatically encrypt the software to protect. This allows you to e.g. encrypt individual methods and classes for Java and .NET (C #, VB.NET) applications. Anti-reverse engineering tools prevent any attempt aimed at extracting the source code from your protected application. With the development tools of CodeMeter, you can create a license file that is not bound to the hardware properties of your user‘s PC. CodeMeter Runtime allows the importing and use of the license file. The decryption of your code takes place in CodeMeter Runtime, a totally safe environment kept away from attackers. By encrypting the executable code and decrypting it in the native components of CodeMeter Runtime, your protection level is much higher than with a mere obfuscator solution.